I felt compelled to share these photos, because at its surface, few things encapsulate Swedish culture like a pair of wooden clogs. 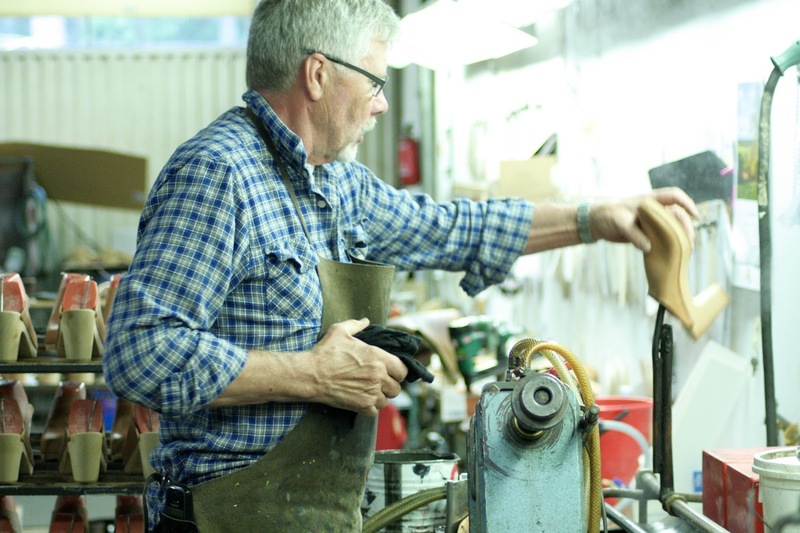 Deep-rooted in tradition and paired with an effortless sensibility that has withstood many a passing trend, there is a factory in Payrd, Sweden that has been making clogs by hand for over 100 years. And while these iconic wooden shoes seemingly burst onto the international fashion scene in the 1970s, they are making a comeback in closets around the world thanks to sightings of Kate Moss wearing a pair. As I snapped these images, the master clog maker at Sandgrens was kind enough to yell over the mechanics of his machinery so I knew what he was doing. 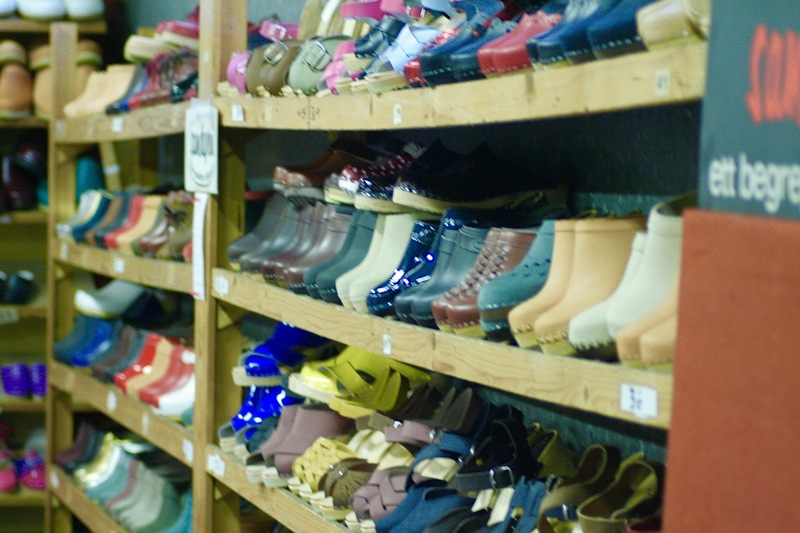 To consider footwear an art, is a privilege. To have your hand in it, a calling. To stand within the four walls of this place, I may as well had been in a museum. 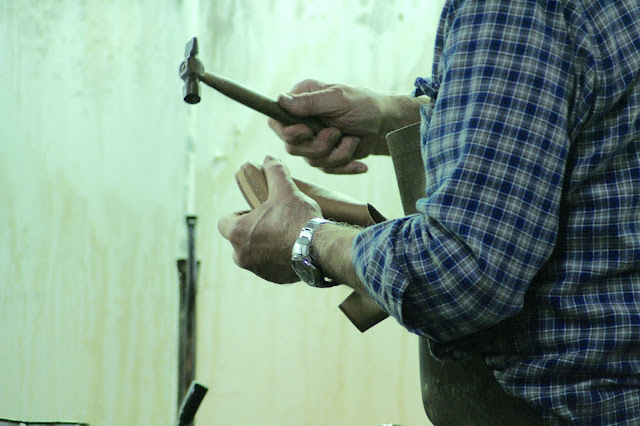 For this is the first chapter: Christer, fine-tuning and finishing and refining these fine leathers and wooden bases into footwear. Then, it is packaged up and shipped to the doorsteps and storefronts of the world where the second chapter is written. Sweden's influence is immediately felt in the four corners of the world until it is joined with that of the consumer. When a Sandgrens box arrives, a third chapter is written. It harmonizes with the footsteps, the movements, the lifestyle of the wearer. This pulls forward that tradition, only by now, it has been shared with the world. The legacy is everlasting, and I was so honored to witness its "once upon a time." This is the last of my Sweden recaps, but certainly not the last time I will visit.